AcraLaser cut circle with bubbles on bottom appears to be floating on the included base. 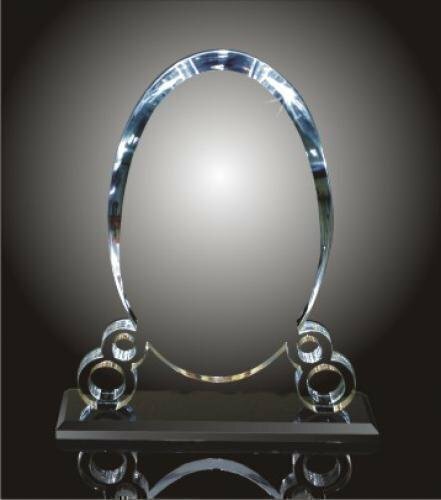 Another Stunning acrylic award. When ECO-friendly, modern and traditional elements fuse together, you get the Bubble Cup Award. This solid, light-grained, morder square cube base is adorned with a traditional victory cup made out of glass. This is the perfect piece if you want the look and feel of a traditional victory cup, but more fun and less of a hit on your wallet! It is the foolproof go to for a rousing game of golf between friends, or a competitive competition of any kind. 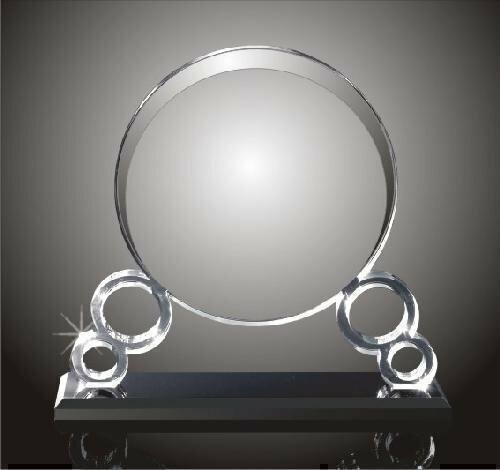 Laser cut Acrylic award with base. Crafted from clear acrylic this award seems to be floating in air.